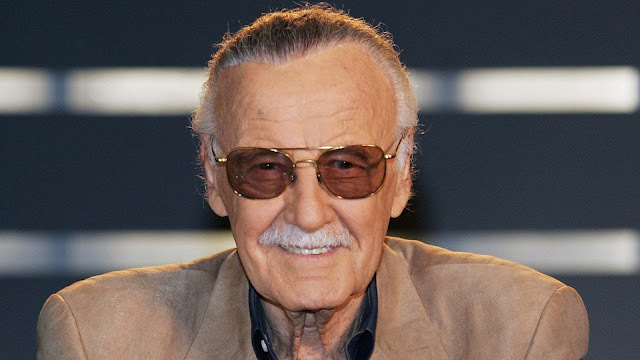 According to reports, the Marvel Comics legend was rushed to Cedars-Sinai Medical Center where he later died. Lee's daughter, JC confirmed the news and stated: "My father loved all of his fans. He was the greatest, most decent man.". Lee suffered from pneumonia a year earlier, also in that same year, his wife Joan Lee, his wife for almost 70 years died of stroke. Born Stanley Martin Lieber (Dec. 28, 1922), Stan Lee worked in Marvel (formerly Timely comics in 1939) as an assistant to his uncle, Robbie Solomon and later became an interim editor at the age of 19. He first made his comic book debut with the text filler "Captain America Foils the Traitor's Revenge" in Captain America Comics #3, published May 1941. It was in the 60's that catapulted Marvel Comics' popularity when Lee co-created the super heroes such as The Fantastic Four, X-Men, Spider-Man, Iron-Man, Thor, The Hulk and a few others with Steve Ditko and Jack Kirby. After his stint at Marvel decades later, Lee founded Stan Lee Media and POW! Entertainment. Lee also appeared in cameos for most of the Marvel Cinematic Universe, as well as the Fox and Sony Marvel movies. For those who didn't know, Lee also brought his Spider-Man character to Japan as a Tokusatsu series in the 70's. Rather Peter Parker as the wall-crawler, the producers opted to use a new character, Takuya Yamashiro (played by Shinji Todō), a motocross racer who comes across an alien ship named Marveller (based on the company name) which transforms to a robot named Leopardon which gave him his costume and powers. The Leopardon robot which became a basis for the creation of Battle Fever J's Battle Fever Robo, a robot which became a staple tool in the Super Sentai franchise. Both the Japanese Spider-Man and Leopardon were added in the Marvel Universe comics in the Spider-Verse and Spider-Geddon storylines. Stan Lee is survived by his daughter Joan Celia "J. C." Lee. We at Robot Pilipinas extend our deepest condolences. No Response to "In Memoriam : Stan Lee (1922-2018)"